The trial of Rahmat Akilov, the lone wolf terrorist who killed five pedestrians in Stockholm’s equivalent of Oxford Street, last April have just begun. Whilst the trial is expected to continue for several months, it will no doubt raise important questions pertaining to Islamic extremism, terrorism and fundamentalism in Swedish society. Those debates similar to the UK are not new and has continued with various degrees of intensity over the past years. However with this year being election year, they are sure to be one of the major topics of political debate in the country. It is likely that the Swedish Far-Right will look to exploit these fissures within Swedish society. Sweden’s counter-terror strategy is slowly leaning towards the UK approach. One of those strategies, Prevent, has attracted the ire of both Muslim and non-Muslim civil society and advocacy groups in the UK. If a similar strategy is introduced in Sweden too, similar concerns will be echoed within certain camps in Swedish civil society. But what is often overlooked is the grassroots work by Muslim communities in Sweden. They can often be more effective than government strategies, and some actors, albeit controversial, are successfully working to counter extremism in their communities. One such community is the quietist Salafis of Sweden who are very active in countering extremism in Swedish society. Now, I use the term quietist loosely and for ease, but quietist Salafis are also known as Madakhila or Madkhalis, named after its founder Sheikh Rabee’ al-Madkhali a controversial scholar from Saudi Arabia. To his detractors he is seen as a government loyalist, to his defenders one of the most influential scholars of his age. 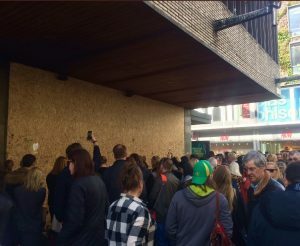 In the UK the Madakhila have been accused of shopping in their coreligionists to the authorities for opposing the Kingdom of Saudi Arabia, but in Sweden they do not have that reputation. In fact, some of the Madakhila there are becoming increasingly independent of Saudi politics and prefer to keep a respectful distance from the KSA whilst others have become increasingly critical of the kingdom. Some observers have also pointed out that it is incorrect to suggest that Madakhila do not get involved in politics, in Libya for example, some of them have even formed armed units and are actively involved in shaping the country’s future. Of course, the Libyan example is not endorsed by many Madakhila outside of Libya and indeed within, one should add. Madkhalism then, should not be treated as a monolithic whole but understood in all its varied manifestations. For clarification, Salafism is a movement also known usually pejoratively, as Wahabism. It is a literalist Sunni theological and legal school that takes its name from the expression ‘al-Salaf al-Salih’ (‘the pious predecessors’), a phrase referring to the first three generations of Muslims who represent the religion’s “golden age.” According to Salafists, these early Muslims most accurately preserved the Prophet Muhammad’s statements and actions because they knew him or those close to him. Salafists seek to adhere to the reports of the Prophet Muhammad’s words and deeds (Sunnah) and to avoid religious innovations (Bid’ah) and thereby ‘return’ to that pristine age. Salafism are loosely divided into three branches: quietist Salafism, whose adherents shun political activism and concentrate on education and peaceful preaching. They believe that personal salvation is more important than worldly politics and rulership. In contrast political Salafism holds that political activism is an integral part of Islam, and Jihadi-Salafism, whose followers seek to overthrow supposedly apostate regimes in the Muslim world through violence. The phenomena of Salafism in Sweden is, like in other places, more complex and diverse than is often given credit. The groups that self-identify or are identified by observers as Salafis in Sweden are among themselves deeply divided and opposed to one another, often arguing with each other over various ideological stances. But with Sweden being one of the most secular countries in the world according to the World Value Survey (WVS), their general conservative and fundamentalist beliefs are usually met with deep skepticism and sometimes open enmity. They are usually invoked by the media, policy makers and politicians to illustrate the absolute antithesis to what it means to be Swedish, and are often collectively held to account for allegedly promoting religious extremism and fundamentalism in the Muslim community. They are blamed for zealotry, violent radicalization, creating religious enclaves in immigrant neighborhoods, and even for terrorism. Their mere existence in a country which regards itself as being an international role-model for democracy, human rights and gender equality, is seen as an anomaly. 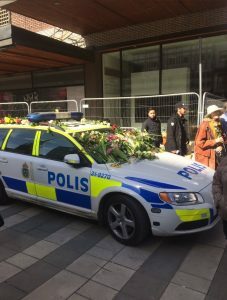 As a result, the spotlight has turned on groups who possess not just a violent ideology, but also a very religious conservative outlook to examine whether they pose a threat to national security but also if they go against ‘the Swedish way of life’ the latter phrase being itself difficult to define. But things are complicated and cannot be viewed in isolation. 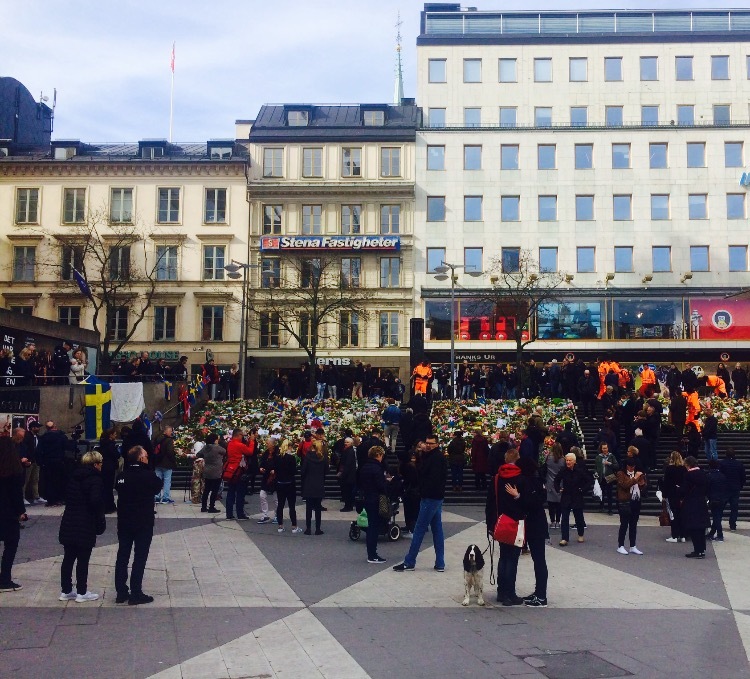 With geopolitical and ideological struggles raging throughout the Muslim world, they are inevitably reflected in the Muslim communities across the European continent, Sweden being no exception. According to Säpo, the Swedish security services, more than 300 young Swedish citizens have traveled to fight in the MENA region as foreign fighters, with their ideas spreading among those who have stayed behind. According to a recent evaluation by Säpo, there are likely to be ‘thousands’ of possibly violent Islamists in Sweden as stated by the former Säpo director Anders Thornberg, and countering the ideology driving it is at the forefront of everyone’s’ mind. Hundreds of suggestions and models have been put forth, considered, rejected or reviewed, from harsher punishments to criminalization of certain beliefs, but none seem effective enough. What leads to extremism? Is it only about foreign ideologies? What’s going on among the grassroots communities? Is the message for violence confronted enough? As a matter of fact in Sweden’s suburbs, a lot is going on, but away from the public eye. Obscured from mainstream society, a battle for hearts and minds is being fought. To get an insight into these debates is not easy, Swedish Salafis are withdrawn and avoid attention, both for religious reasons but also out of concern that they will become targeted by the Swedish establishment. But this author was granted rare insight into their work and the impact it is having on Sweden’s Muslim youth. The proclamation of the new Caliphate echoed out of the Mosul grand mosque in the form of a black-clad al-Baghdadi found its way through screens and pads into Sweden’s suburb where most of Muslim diaspora reside. His speech awed, encouraged and confused the Muslim youth of these banlieues. For many young Muslims positively charged words as “caliphate”, “God’s law”, “honour” and “restored dignity” was enchanting. These young Muslims were negotiating the thorny maze of Swedish society where on the face of it one was entitled to equal opportunities, but in reality, native Swedes did not live side by side to Swedes of immigrant extraction. Tensta and Rinkeby are good examples of social segregation and a perfect example of white flight. The harsh truth is that it isn’t the Invandrare, immigrants, who have fled but the native Swedes Thus in these circumstances and enclaves groups of Muslim friends would come together and say ‘these guys seem really good’, and agree to travel together to fight and aid this utopian idea. As several Salafi leaders told this author, with the advent of the ‘caliphate’ there has certainly been a surge of interest in religion and politics. They were approached on a daily basis by people ranging from drug-dealers to the devout with questions about the newly established ‘caliphate’ in Syria and Iraq and whether one should go there or not. To the Jihadis in Sweden, who had up till then mostly kept a low profile, it was Manna from heaven. Thousands of young Muslims religiously and politically had awakened and with an eager desire to serve their co-religionists abroad. This marked the start of a ferocious battle for hearts and minds, fought between the quietist Salafis and Salafi-Jihadis, where the ultimate prize for both sides was to capture the narrative of what Islam really is and vis-a-vis the souls of the Muslim youth of the marginalized suburbs. The quietest Salafis of Sweden have adopted an overall integrationist and pragmatic approach to their host society, where they instruct their followers to be good citizens, live honest lives, work and pay taxes, but to avoid compromise in matters of religion. When I asked a Salafi leader what differentiates his group from others labelled Salafi by Swedish observers, he is very adamant to point out that their group publicly distance themselves from violence, while others called ‘Salafi’ by the observers might not, and that they also distance themselves from all illegal activity and condemn such things as economical and welfare fraud, which other groups labeled as ‘Salafi’ have been alleged to be involved in. The Salafi-Jihadis, on the other hand, exhort their followers to separate themselves from mainstream society on the grounds that it is ‘dar-ul harb’, ‘territory of war’- a term used by Medieval Muslim jurists to denote zones of conflict. They condemn the host society and fuel polarization, marginalization and promote the growth of radical and violent ideas. Like in the rest of Western Europe, Jihadis appear to prey on the rootless, second generation Muslim youth by offering them a long sought after sense of belonging, sympathising with their grievances, displaying excessive love and brotherhood, attracting followers through social media and activities. They offer an alleged “quick fix” for their problems. But it’s a game, as Salafi leader Harun (name changed) told a group of young adults in a meeting about the dangers of extremist ideology in a youth community center in the suburb of Husby. “The experts claim that radicalisation is incomprehensible” he began, “but we all know why it occurs, right guys? The kids out here don’t know what they are, Swedes, immigrants, what? They see what the Swedes have and want it too but their families are poor and dad says it’s haram (forbidden). They are lost.” The Jihadis come and try to take advantage of that by “putting on an act” as he put it. Their true face is far more sinister. They merely want them as cannon-fodder for their cause, “it begins with them buying you pizza, and ends with them handing you guns!”, as the leader warned the audience. He compared the Jihadis with criminal gangs who recruit adolescents to run errands for them, and assured the large gathering that if they fall on hard times, their Jihadi mates won’t be there to save them. Don’t be fooled by them or their rhetoric, he finished. The Jihadis, angered and threatened by their preaching, countered by calling the quetists Salafis “liars” , and instructing their followers not to listen to them. They would also confront them by showing up at their lectures or activities resulting in polemical discussions being arranged in secret, where they would have heated debates and trying to refute each others’ theological positions on subjects like politics, violence, Jihad and other issues. The quietists saw this as a way to cut the head of the snake, and cause the Jihadi leaders to doubt their own claims to the truth. Q-What do you talk about? Q: How many do you think have been prevented from traveling to Syria or have left violent ideology through you? Q: How do you reach out to them, or even find them? Q: What do you talk with them about, how do you talk to them, what subjects are brought up and how do they argue? The struggle against extremist ideology needs to be fought through ideology and not just the battlefield he says, that even if you kill all ISIS people new ones will still turn up unless you refute their ideology. This needs to be done by Islamic scholars, not just through arms. He cited the American terror expert Malcolm Nance to prove his point. But working with such groups may have consequences for Swedish policy makers and the consequences for the quietist Salafis might also be counter-productive. They might become like their counterparts in the UK, viewed with distrust by the community they are trying to serve. But there are also ethical issues for the political class in Sweden at stake. Can you cooperate with groups with which you fundamentally disagree with for the sake of common good? The work of quietist Salafis have undoubtedly exposed an underlying conflict within Swedish society, which sees itself as having settled its account with religion long ago. The increased visibility of religion in the wake of the fight against Islamic terrorism has caused a concern among certain levels of society, particularly among politicians, journalists and the educated middle class, who fear a reversion of the liberal Swedish society and the reemergence of ‘reactionary’ beliefs in the midst of a country which is hailed as a role-model of democracy, freedom and gender equality. The fear is that in the long run, these might be curtailed as a new religiousness gains ground. This is the question at the forefront on many peoples’ minds. Already the media have a heightened the rhetoric and signalled their concern about the importance of “our values”. Coming to terms with these questions will be one of the greatest challenges facing Sweden in the coming years. If Salomon’s report is realised, then ISIS’ pull on Swedish Muslims and indeed others in Europe may remain.